I think you are starting out with an assumption here brought on from later editions that alignment is actually "a moral outlook." I personally don't think morality came into it until the Good/Evil dichotomy was introduced in Greyhawk. Before this it was what it literally said it was - an alignment with a faction - whether that was the seelie/unseelie of Andersons' A Broken Sword, the eternal battle of Moorcock's Elric series, or even something as obscure as the reality/unreality of Brunner's Traveller in Black. That being said people generally prefer order ("may you live in interesting times" is a curse for a very good reason) so Law often gets equated with being a desirable or good quality. The fact that many "monsters" are in the Chaos list make it inherently bad. 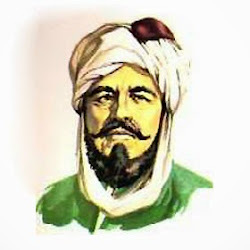 Is alignment a moral outlook as opposed to (merely) an alliance with a "side"? Is Law vs. Chaos equivalent to, or does it at least track (in some fairly close sense) Good vs. Evil? Now, I think Ian is right that by the time we get to the AD&D Players Handbook (1978), it was a moral outlook, which doesn't mean it necessarily started out that way in 1974. AD&D also introduced a nine-point alliance scheme, which explicitly contrasted the concepts of Law and Chaos with Good and Evil, and this was foreshadowed in Basic D&D (1977) with the five-point system. But this leaves unanswered the meaning of the terms before that, as well as in the Moldvay/Cook, Basic/Expert set (1981) a few years later, which reverted to the three-point system). Also, Ian is correct in claiming that there might be a difference between successive iterations of OD&D, for example, between the first edition "The Three Little Brown Books" (1974) and Greyhawk (1975). Among other things, it might be the case that Greyhawk was a sort of bridge between the original edition and AD&D. Let's go to the sources. 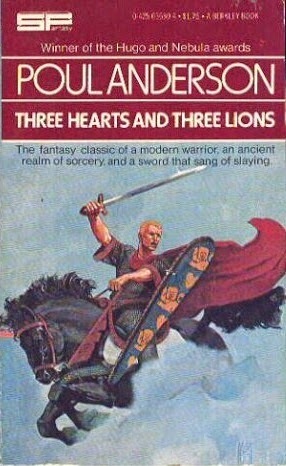 First, two from Appendix N (fantasy authors and texts that Gary Gygax explicitly cited as inspirations for D&D)--Poul Anderson's Three Hearts and Three Lions (1961) and Michael Moorcock's Elric series (1961-). Here we'll crib somewhat from Jon Peterson's Playing at the World. Then we'll look at the text from to Chainmail (1971-), The Three Little Brown Books, Greyhawk and an article Gygax wrote in The Strategic Review (1976). I've read both Anderson and Moorcock but it's been a while. (No, I'm not going to reread them for this blog post.) So I'm going to rely somewhat for quotes and such on Peterson's book. In Three Hearts and Three Lions a Danish anti-Nazi resistance fighter, Holger Carlson, finds himself transported to an alternate universe early middle-ages, where he becomes involved in a struggle between Law and Chaos. Most humans are on the side of Law, whereas elves, trolls, giants and many other monstrous creatures are on the side of Chaos. Some are neutral between the two, such as the swanmay, Alianora, whom Holger will fall in love with. Later, after he is transported back to 20th century Europe, he decides that the struggle between Law and Chaos is being fought or refought as the current war between the Allied powers and the Nazis. Now, here the focus is obviously on sides. "Holger is frequently questioned about his allegiances: 'Which side be ye on? Law or Chaos,' Alianora asks him, to which he replies, after hesitating, 'Law, I suppose'" (Peterson, p. 181). Chaos has it's ugly and monstrous components, but it is also frequently attractive, at least superficially, exemplified by the sexually seductive elves. So while Chaos may certainly track evil, its partisans do not all go around dressed in black with skulls on their standards. That Law and Chaos are more sides and not precisely moral outlooks is apparent in the fact that Holger--an adult man who has obviously already made some important moral choices in his life--has to identify them and (so it seems) decide between them, as opposed to just being one or the other. But these sides are not independent of personal moral behavior. The most striking illustration of this in the novel is the incident where Holger, mindful of his missed opportunities for dalliance with the Faerie, surreptitiously palpates the breast of the sleeping Alianora--not exactly at his most pious. Virtually as soon as he does so, the party is attacked by a giant, whom Holger attempts to repel by invoking the names of the Holy Trinity. The giant replies dismissively, "Too late for that, mortal, when you've broken the good circle by your sinful wishes and not yet made act of contrition" (Peterson, p. 184). Here and elsewhere, Chaos is linked (to a large extent) with sin and evil conduct, while Law is identified with Christian morality. Moorcock, in his Elric series, also features a struggle between Law and Chaos. But as befits a 1960's-ish New Wavy skeptical leftist (that's not a criticism as much as I think a relatively accurate characterization) has a moral metaphysics that is a bit more, shall we say, nuanced. 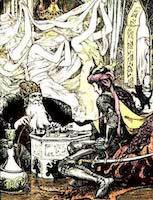 The hero, or more precisely anti-hero, Elric, has a Chaotic god as a patron, and carries a sword "forged by Chaos to vanquish Chaos" (Peterson, p. 182). So he variously "allies" as well as fights against both sides. Whether these sides can be slapped with the labels "Good" and "Evil" is questionable or perhaps merely semantic. Moorcock is at least coy here by flirting with the conventional interpretation, calling the Lords of Chaos "the Dukes of Hell". However, Moorcock seems to imply that peace resides in keeping a "Balance" between the two (Peterson pp. 182-3). And while Elric is certainly not a paragon of conventional virtue, the thrust of the series is that individual moral conduct is in any case somewhat separate from the "eternal struggle" of Law and Chaos. While Anderson's and Moorcock's conceptions of Law vs. Chaos are quite different, I'm going to jump ahead and put my cards on the table right now. However one comes down on the meaning of the terms (and we'll shortly see what OD&D and Zylarthen have to say about that), labeling the struggle as one between "Law vs. Chaos" as opposed to labeling it as "Good vs. Evil" just sounds cooler. That sums it up for me. Good vs Evil has too much cultural baggage too predefined, restrictive, and cliched. I like law vs chaos as opposed to good vs evil because there is a lot more room for human behavior. A lawful king that is generous and kind to his people can condemn his foe into a cell for a decade only brining them out to be tortured once a year and remain lawful while a goodly king exposeed as doing so would be very suspect and probably not very good at all. A lawful king acts within the costraints of defined power, maybe wrestles with them but the royal code is a definition and challenge to live by not necassairly a binding pact to hold back inner deomons. The king can not and will not arbitraily decide to have you skinned alive and tossed into a pile of salt but it might just happen after you lose a trial by combat to the king's champion and are not finished there. A chaotic matron can truely love her children and that love can be honest an d pure but are evil beings able to ever be honest and care for anythin except for how it gives them more power, an evil matron coevts children that she will always have power over. Yes the chaotic matron may make sausage out of a bothersoome neighbor but it's to feed those she loves not to exert her poower over the bore next door.